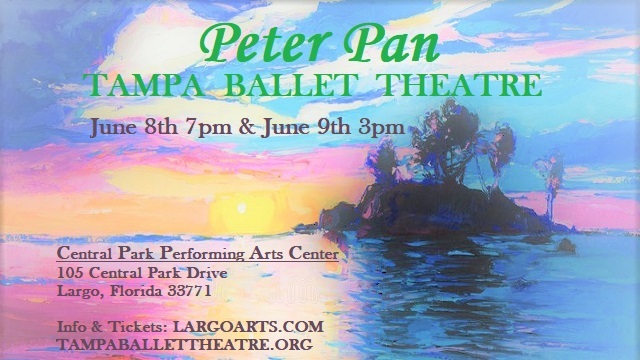 Fly to Neverland with Tampa Ballet Theatre as they present their première of Peter Pan! An exciting brand new contemporary ballet that is great for all ages. Enjoy J. M. Barrie’s book come to life with new and exciting twists as Peter and Wendy go on their many adventures with Mermaids, Indians, and the infamous Captain Hook and his Pirates. Come Fly away with us to the second star on the right and straight on till morning!